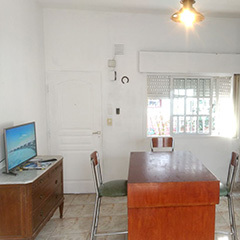 •Relax sector, with many cozy sofás, and cable LCD TV. •Dining sector with table and chairs for 6 people. 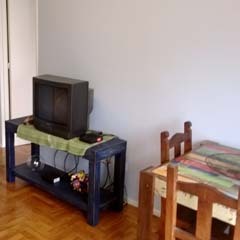 - Pleasant livingroom with nice couchs and a little table, equipped with Cable TV. - Modern Dining area with table and chairs for 4 people. 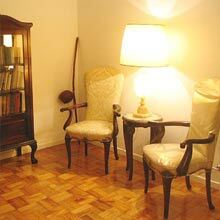 -Living room area with a lovely brick wall, comfortable sofa bed (2 single beds) and Cable TV. -Nice kitchen area integrated to the main area with table and chairs for 4 people. 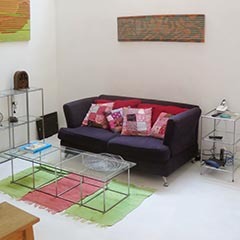 - Exquisitly decorated living-room with comfortable sofa, glass coffee table, cable TV and decoration adorment. - Main bedroom with cozy double sized bed. • Relax Area, with a double size bed (2 single beds),armchairs and coffee-table. 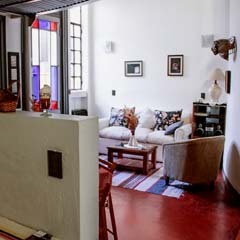 Very nice one bedroom apartment greatly located, in the San Telmo neighborhood, known for its colonial style houses and bohemian environment, just two blocks from the famous Plaza Dorrego where every Sunday afternoon it takes place a famous antique market and visitors can enjoy tango shows performed by local dancers. 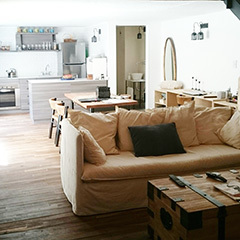 This flat offers a living dining room with a sofa bed and cable TV, a bedroom area with a queen size bed, a fully equipped kitchen (dishes, kitchenware, refrigerator with freezer, microwave & coffee-maker) and one full bathroom. 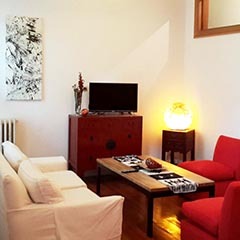 •Relax sector, with nice single sofa bed, and cable TV. •Dining sector, with table and chairs for 3 people. 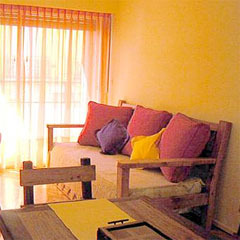 - Living room with comfortable chaise-longue and Cable LCD TV. - Dining area with table for four, with fully equipped kitchen incorporated. 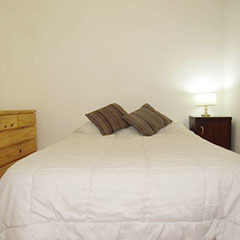 - Bedroom area, with two simple beds, with double size bed option. 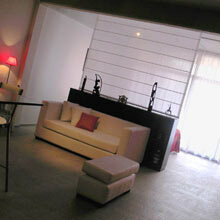 - Main area with double sofa bed, cable TV and balcony access. •Dining sector with table and chairs for 4 people. •Relax sector with simple sofa bed and cable TV. 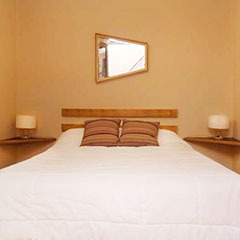 -Main bedroom with cozy double size bed and wide wardrobe. -Second bedroom with double size bed. - Lovely fully equipped kitchen. • Dining area with table and chairs for 4 people. 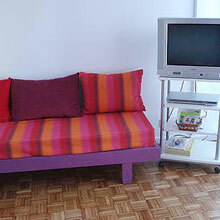 -Relax area with a modern double sofa bed, stereo system, cable TV and DVD. -Dining area with sideboard and stools for 2 people. -Fully equipped new generation kitchen with glass bar and stool for four. -Living room Area with comfortable double-sofa. -Bedroom Area with queen size sommier and cable TV. 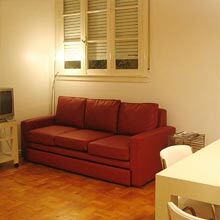 - Nice living area that has comfortable sofa, and armchairs, coffee table and cable TV. Hours of Service: Monday to Friday, 10 at 18 hs.